We were delighted to welcome over 2000 visitors to our official open day which was launched by television presenter and farmer Jimmy Doherty. 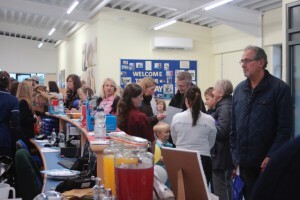 The day was a huge success, and it was lovely to see so many people interested in what we do. 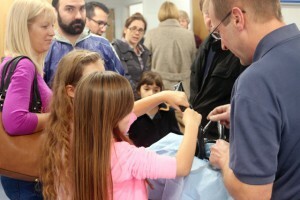 There were fifteen veterinary surgeons and twenty nurses running presentations and demonstrations from the minute the day started right to the end. The turnout was truly amazing! 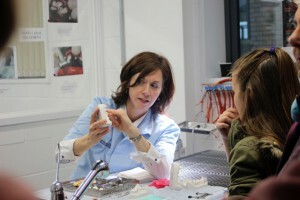 The day provided an excellent opportunity for the public to look behind the scenes of the state-of-the-art veterinary hospital and find out first-hand about the work of veterinary surgeons, veterinary nurses and allied professions. 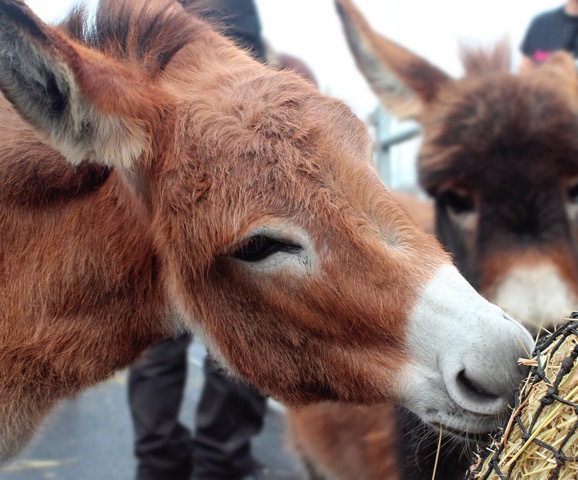 There were presentations on a wide range of farm, equine and pet-related issues, including an opportunity to take a close-up look at fleas, ticks and some of the other unwanted visitors that frequent our pets. The hydrotherapy pool and treadmill were fully operational, and visitors were able to watch the dog groomers at work in the new grooming lounge. In the ultrasound room, staff pets helped to demonstrate the new equipment, and visitors were able to test their surgery skills in a game of ‘hunt the foreign body’. To mark Remembrance Sunday, a free educational workshop was set up and run by the team from PetFocus magazine for visitors to explore the remarkable contributions made and being made by animals in war. As well as lots of informative displays, books and wartime artefacts, visitors were able to enjoy famous songs from World War Two and a range of video clips about animals in war. 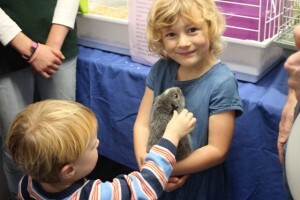 Children took part in an ‘around-the-bases’ quiz and there were lots of animals to meet and learn about, including some more unusual pets such as snakes, tortoises and miniature donkeys. All proceeds from the event have been donated to animal charities, Help For Heroes and The Royal British Legion. 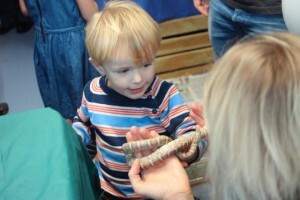 “It was a pleasure to open up the centre to everyone. 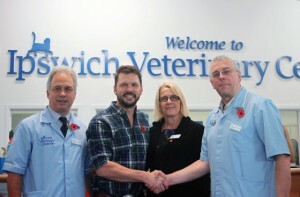 We’ve received so much thanks and praise from everyone that attended and are really pleased that Ipswich Veterinary Centre has been a complete success so soon after opening. We’d like to thank Jimmy Doherty for his kind words of support and for joining us on the day despite busy commitments elsewhere.” – Tom Webster.